Make an impression with your art! Impression molds add a new dimension to your glass art. 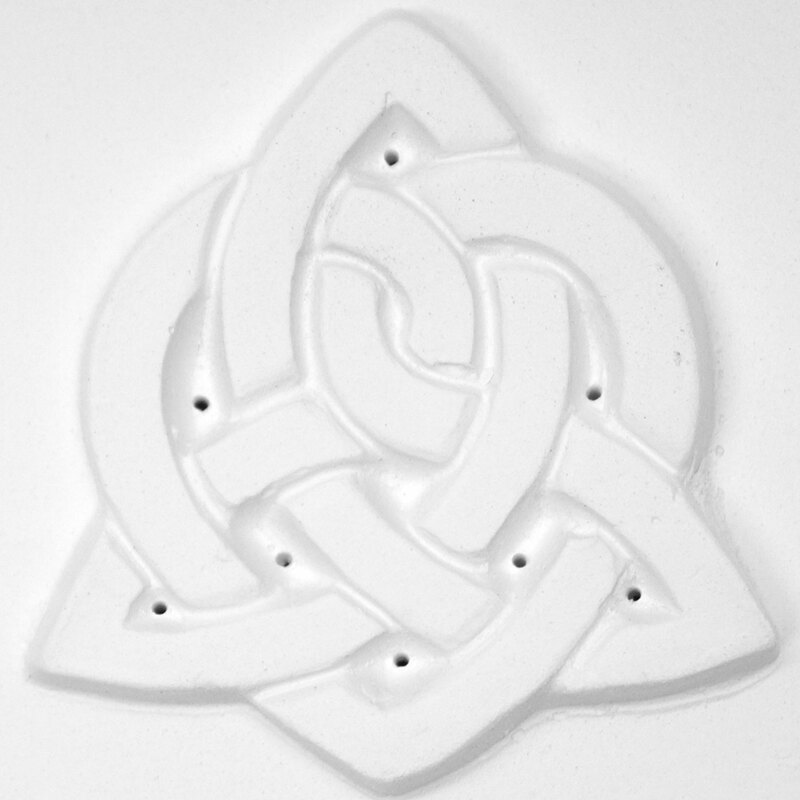 Add a unique design to your fused glass piece by simply placing the impression mold on top of your project and firing to a full fuse. 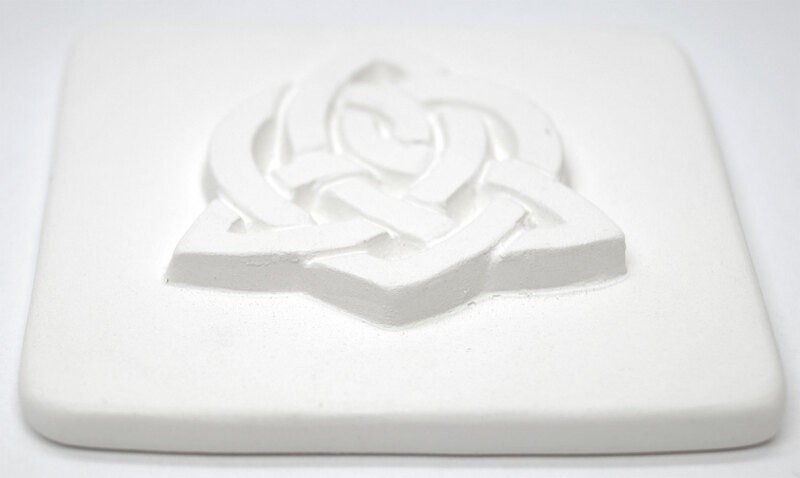 Use impression molds on or under glass to create unique fused glass tiles to use alone or to use in larger fused glass or mosaic projects. 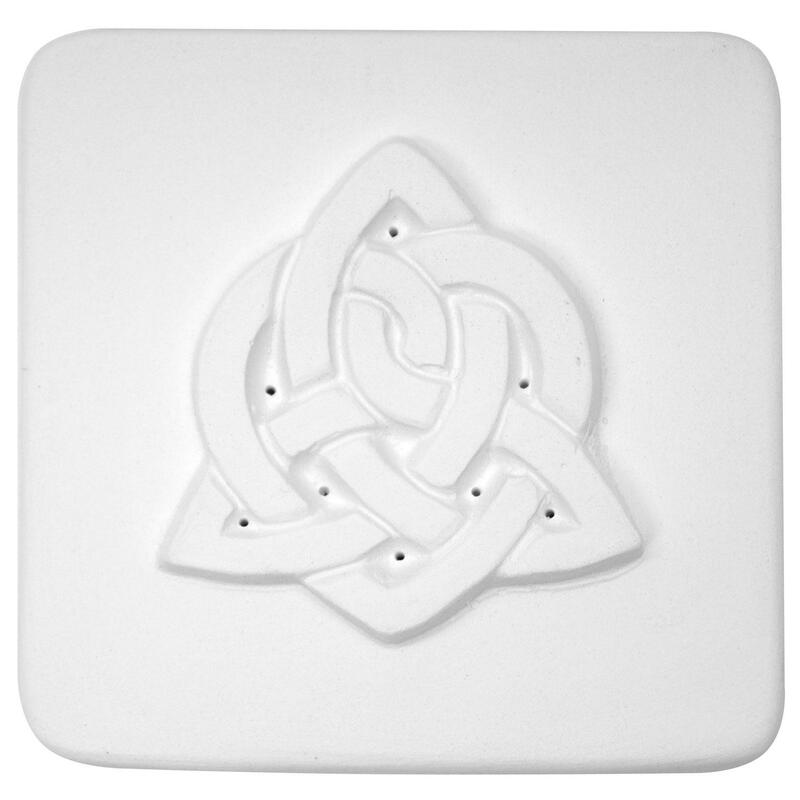 The intricate, interwoven patterns of Celtic knots have decorated monuments and artwork for centuries. 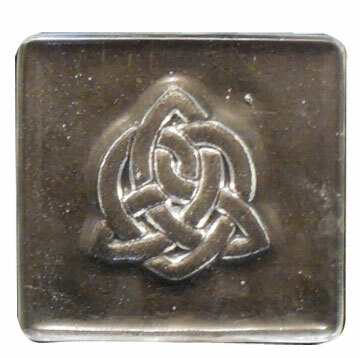 This gorgeous knot design weaves the well known Celtic around a heart shaped center. 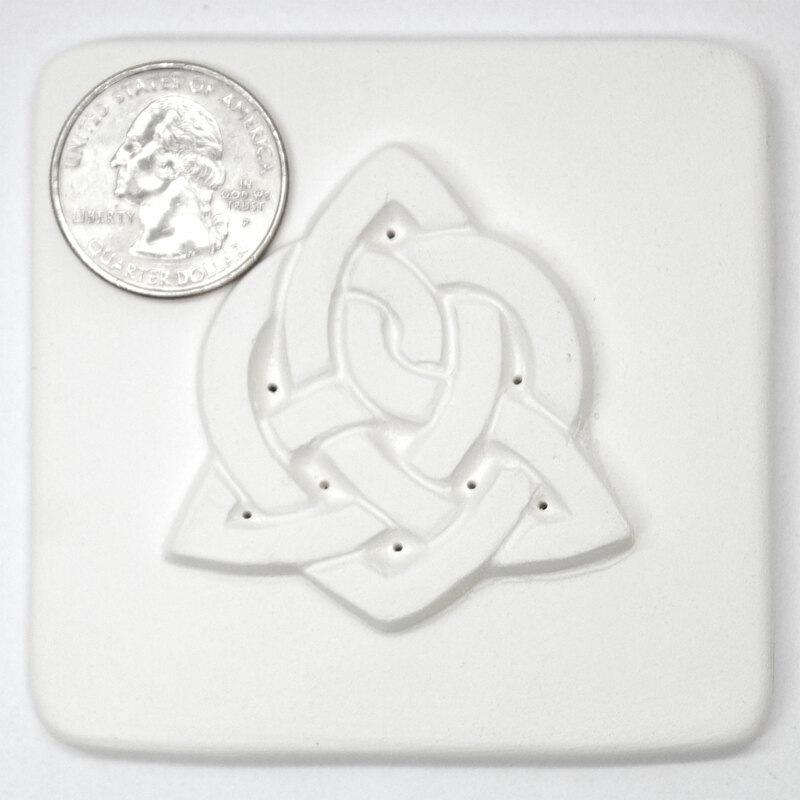 Tile creates a 1-3/4" x 1-3/4" celtic heart impression. To create a unique project in a single firing pair with the Delphi Studio rimmed dish series of molds to create functional art with unique imprinted designs. Durable, reusable molds can be fired many times. Apply high-temperature kiln wash or casting primer before use. Pros : I layered a piece of cathedral green over clear. You do need the extra thickness. The impression came out perfectly!!!! Pros : Very easy to use, great uniform impression with clear defined edges and details.